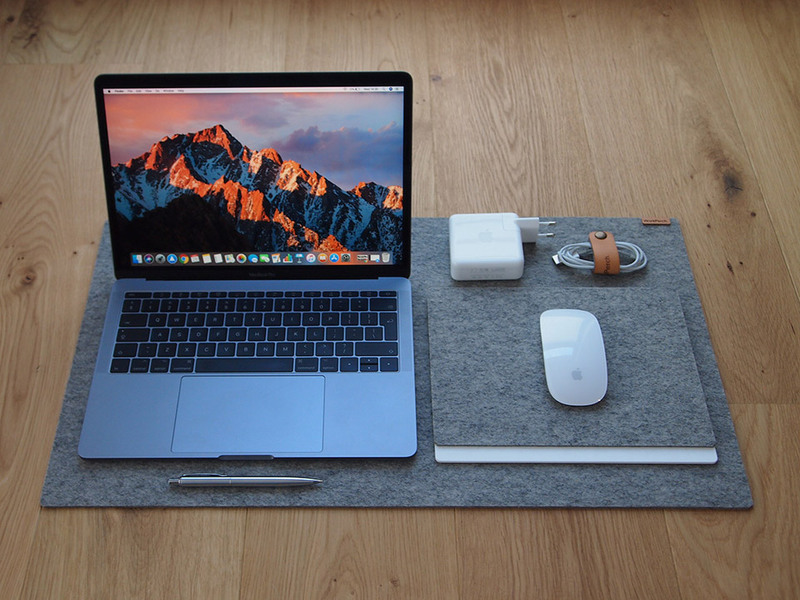 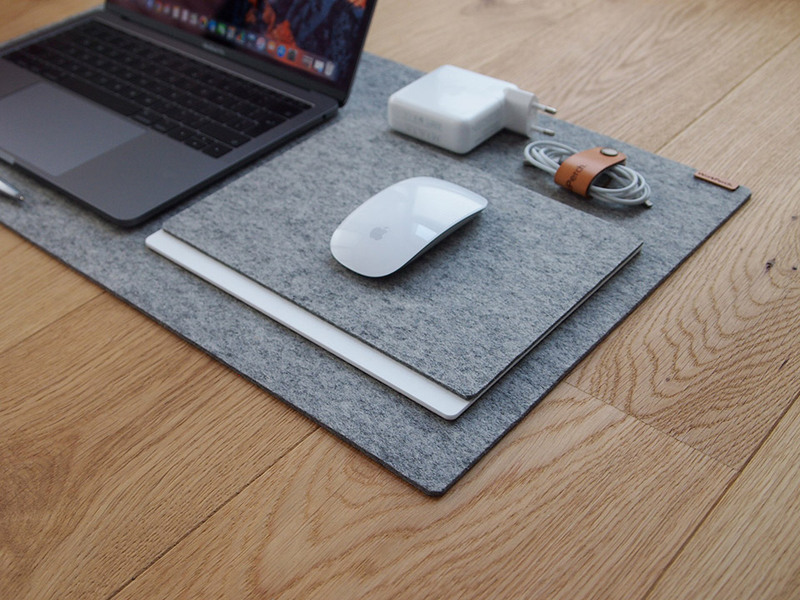 Dress up your desktop with these premium wool felt pads from Workperch. They come in light grey, dark grey, or black, and the matching mousepad has an acrylic and cork backing layer. 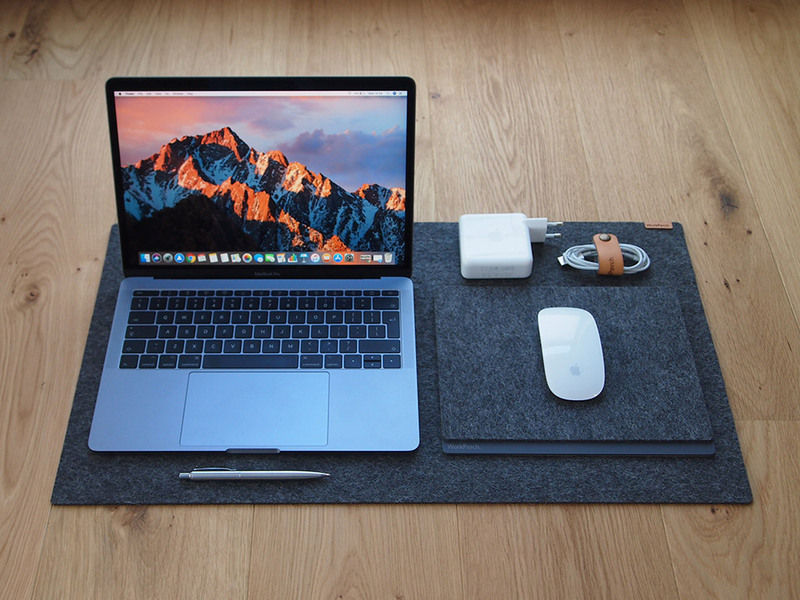 They also offer an acrylic and cork desk mat if you prefer a smoother work surface.